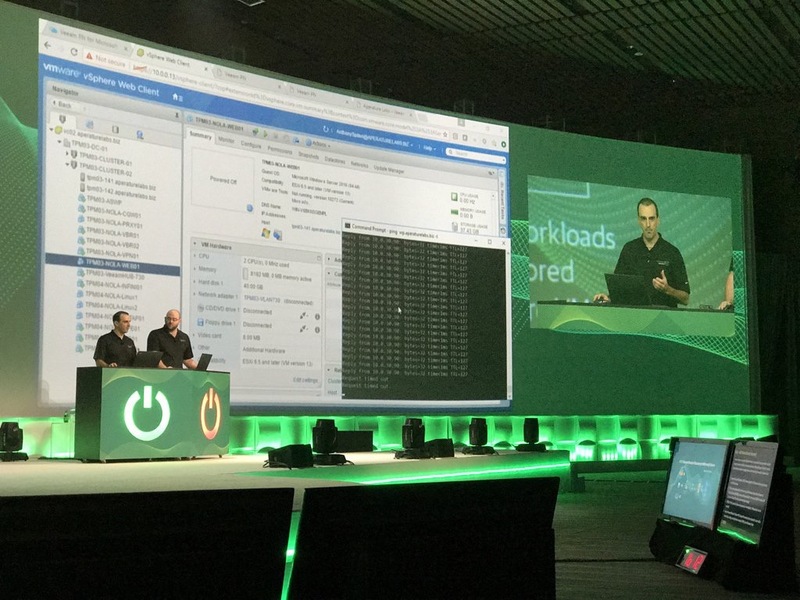 VeeamOn Archives - VIRTUALIZATION IS LIFE! VeeamON Forum Sydney and Auckland…Not too Late to Register! 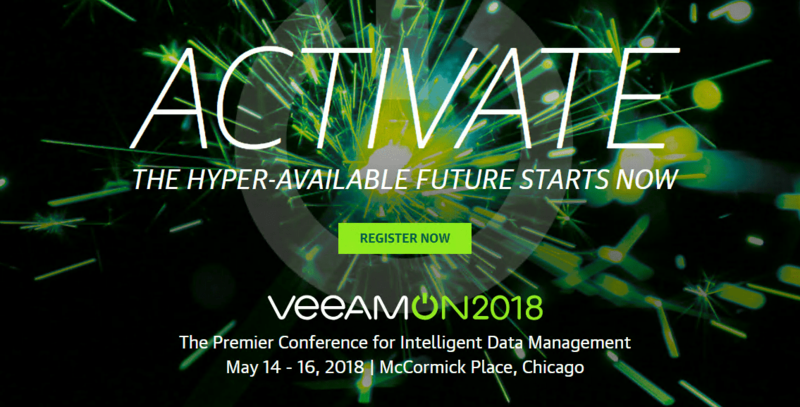 Back in May, we held VeeamON in Chicago where we launched Veeam’s vision and strategy to lead the way in intelligent data management. One of the great things about VeeamON is that it spawns a series of VeeamON Forums and Tours globally. There is no other vendor that is committed to taking their message around the world and hitting as many cities as possible. Last week I was in Malaysia for the VeeamON Forum there and this week I’m heading over to Sydney for VeeamON Forum there on Thursday, and then jumping over to Auckland for the event there on Tuesday. The regional VeeamON event’s give the local teams an opportunity to take the VeeamON message to local partners, customers and prospects. Content is derived from the main VeeamON with local touches added to suit the regions. It’s excellent to have our Co-CEO, Peter McKay headlining the Sydney event, with other executives traveling in for the event. We also have Dave Russell who recently joined us from Gartner presenting in both Sydney and Auckland. As mentioned, I’ll be in Sydney where I’ll be presenting on What’s coming from Veeam in 2018 and also co-presenting with VMware talking about how Veeam is leading the way in backup and recovery for VMware Cloud on AWS workloads. For the Auckland event, I’ll be doing a main-stage demo and presenting the What’s coming in 2018 session as well as a look at Veeam Availability Console 2.0. I always love presenting in my home region and looking forward to not only presenting the sessions, but also engaging with customers and partners. There is still time to register for the events if you are local to those cities. The registration and agendas are listed below. There is a lot to take in on the day, with two tracks (Business and Technical) as well as a number of ecosystem partners sponsoring the show floor. This is a seriously well attended event historically and there is a lot to be taken away from it. 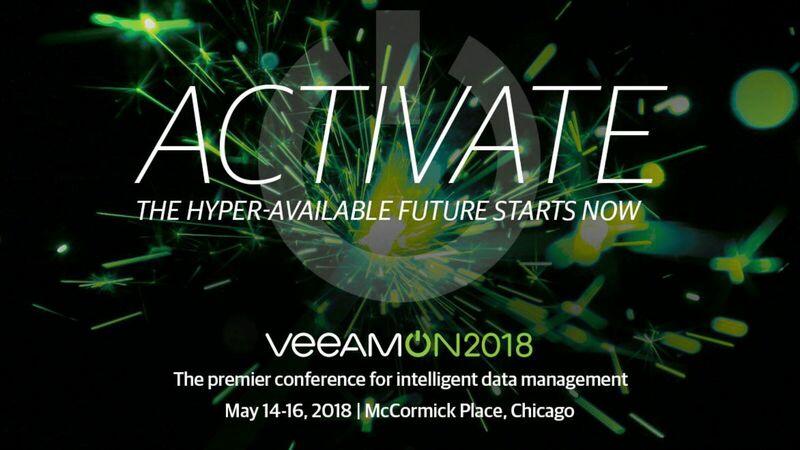 VeeamON has come an gone for another year and it is an exciting time to be in the (hyper) availability industry. There has been a significant shift in the way that backup and recovery is thought about in the IT Industry and Veeam is without question leading the way in this space. We have been the driving force of change for an industry that was once seen as mundane yet necessary. This year we did not announce any new products or features but more importantly laid the ground work for what is to come with our new vision and strategy. To be the leading provider of intelligent data management solution for a world where data is now highly distributed, is growing at exponential rates and where hyper-availability is desired. Well for me it is an evolution of our messaging that what presented in August of 2016 where the Veeam Availability platform was first launched. The platform it’s self has evolved over the past eighteen months with the release of Veeam Availability Orchestrator, Veeam Availability Console, Backup for Office 365, both the Windows and Linux agents and more recently the pending releases of our Nutanix AHV backup and support for AIX and Solaris. Put that together with the acquisition of N2WS for AWS availability and you can see that we are serious about fulfilling the promise of the vision laid out during the event. Apart from delivering three sessions, my highlights revolve around my discussions with customers and partners and getting face to face feedback on how we are doing. This is critical to our function in the Product Strategy team but for me personally it allows me to interact with some of the best innovators in the service provider landscape. On that note, another highlight was the inaugural Veeam Innovation Awards of which I was a voting panel member along with Michael Cade and Jason Buffington. It was great to see four VCSPs win recognition and awesome to have Probax (a local Perth company) included as part of the initial group of winners. I have copied in a number of media interviews and daily wraps below that go into more detail about the event, it’s announcements and the messaging that we are putting forward as a leader in the space. Enjoy the discussions below and I am already looking forward to VeeamON 2019…I have a feeling it’s going to be massive! Yesterday I posted an article highlighting my top picks for VeeamON 2018. The one thing I didn’t list in that post was my own sessions for this years event. This year I’m presenting three sessions in the Cloud Powered track and I am lucky enough to be joined by three awesome co-presenters for each session. All three sessions focus on specific use cases and cover different aspects our cloud features and functionality. earlier this year. However, there is more to Veeam PN than just this use case. Veeam PN allows administrators to create, configure and connect site-to-site or point-to-site VPN tunnels easily through an intuitive and simple UI, all within a couple of clicks. Do you have a remote office network that you want easier access into? Do you have a home lab that you want to access from anywhere in the world? Do you have workloads spread across different cloud platforms that need connecting? SDN doesn’t have to be complex! If you answered “Yes!” to at least one of these questions, then we invite you to our breakout session, where we will provide you with three different use cases that will make your life easier and simplify what has been a traditionally complex part of IT. VMware Cloud on AWS brings VMware’s enterprise class Software-Defined Data Center software running on Amazon Web Services bare metal and enables customers to run production applications across vSphere-based private, public and hybrid cloud environments. Delivered, sold and supported by VMware as an on-demand service, customers can continue to leverage their current VMware skill sets and expand them by adding AWS services, including storage, databases, analytics and more. VMware Cloud on AWS provides flexibility, allowing workload mobility between on premises and the cloud SDDC by using familiar tools such as vMotion. Veeam® was a launch partner for data protection for VMware Cloud on AWS. In this session, you will get a technical overview of VMware Cloud on AWS and also how Veeam can protect workloads hosted on VMware Cloud on AWS. Attendees will walk away with practical guidance and tips on getting the best of both worlds with VMware and Veeam hybrid cloud and Availability solutions. Veeam ONE for VCSP partners — More powerful than you thought! Service providers need to be aware of whats going on within their platforms, and Veeam® Cloud & Service Provider (VCSP) partners should be looking at Veeam ONE™ to monitor and report on more than just base VMware vSphere or Microsoft Hyper-V metrics. Veeam ONE offers expansive monitoring and reporting on Veeam Backup & Replication™ jobs, as well as the ability to dive into vCloud Director environments and give granular metrics on vCD objects, such as vApps, virtual data centers and their parent organizations. SingleHop (a leading VCSP offering providing Veeam Cloud Connect services) uses Veeam ONE as a key element of their platforms monitoring, integration and proactive management of environments. The sophisticated approach between Veeam ONE Monitor, Veeam ONE Reporter and Veeam ONE Business View offers the granularity and automation capabilities highly demanded by their clients. In this session, you will learn about the practical approaches taken by SingleHop to deliver and guarantee the level of services appreciated and valued by their partners, resellers and customers. We will go through how to get the most out of Veeam ONE for your service provider platforms, from reporting and chargeback to how to monitor and report on Veeam Cloud Connect Backup and Veeam Cloud Connect Replication tenant and infrastructure…and tell you how some of this can be done with the FREE edition! 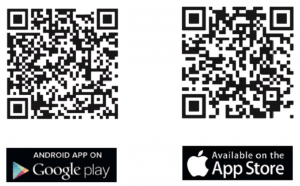 You can download the VeeamON Mobile Application to register for sessions, organise and keep tabs on other parts of the event. Again, looking forward to seeing you all there at my sessions next week! 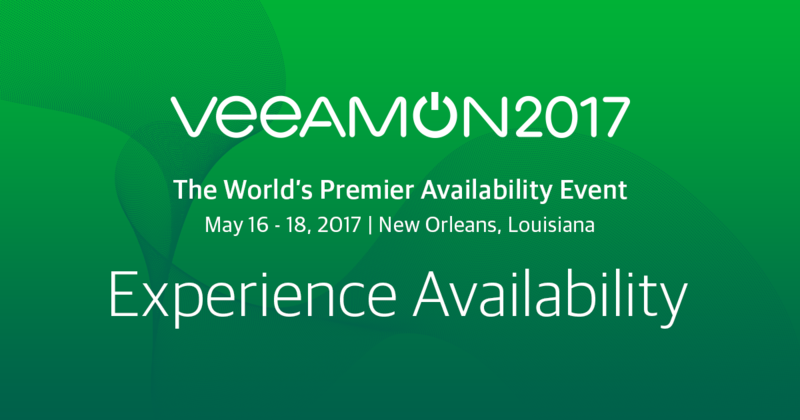 VeeamON is happening next week and the final push towards the event is in full swing. I can tell you that that this years event is going to be extremely valuable for those who can attend! This is going to be my third VeeamOn, and my second being involved with the preparation of elements of the event. Having been behind the scenes, and knowing what our customers and partners are in for in terms of content and event activities…I can’t wait for things to kick off in Chicago. This year we have 70 breakout sessions with a number of high profile speakers coming over to help delver those sessions. We also have significant keynote speakers for the main stage sessions on each of the three days. You will also hear from our executive team on the vision Veeam has for continuing to provide availability through our industry leading innovations. I’ve gone through all the breakouts and picked out my top sessions that you should consider attending…as usual there is a cloud slant to most of them, but there are also some core technology sessions that are not to be missed. The Veeam Product Strategy team are well represented in the session list so it’s also worth looking to attend talks from Rick Vanover, Michael Cade, Niels Engelen, Melissa Palmer, Dmitry Kniazev, David Chapa and Jason Buffington. Danny Allan will be main stage delivering our core vision and strategy moving beyond 2018. After learning what is new in Veeam® Backup for Microsoft Office 365 2.0, it is time to look into the details of this solution. Learn about optimization, architecture, under-the-hood workings and much more in this session. A walk-through session showing the open source CHEF cookbook that installs and configures Veeam® Backup & Replication™ based on documented Veeam best practices. Automation in large-scale deployments is a must. This cookbook will allow for a scalable deployment of your Veeam components and the ability for controlled upgrades and configuration best practices across the estate. Hear right from Anton Gostev about the details of the next release of Veeam® Backup & Replication™. The details of this will be announced at VeeamON 2018, and this will be your exclusive opportunity to learn more about the next release of Veeam Backup & Replication. As a new product for 2018, Veeam® Availability Orchestrator raises the bar for enterprises of all sizes that need orchestrated disaster recovery (DR) and a strong business continuity plan. In this session, the components and architecture of Veeam Availability Orchestrator will be shown in the context of how they work with each other. This breakout will start with a use case and then apply the capabilities of Veeam Availability Orchestrator to deliver objectives for the use case example. Additionally, this session will provide details of core capabilities of Veeam Availability Orchestrator, including data labs, custom steps and building DR plans. As part of your journey from beginner to expert with Veeam Availability Orchestrator, this session is recommended to attend first before attending “Automate your DR run book with PowerShell and Veeam Availability Orchestrator” and “Plan for disaster with confidence using automated testing in Veeam Availability Orchestrator”. Veeam® Availability Console can bring lots of value to a cloud or service provider and enterprise organizations. What are the most common usage scenarios? How can you benefit from the functionality within the solution to lower your daily administration, but at the same time have visibility into your tenant’s environment? If you are a service provider or an enterprise that operates as a service provider, then you will learn a few scenarios that can save you time, effort and money, simply by using this FREE solution. The world of hyper-converged infrastructure moves at an extremely rapid pace, and VMware vSAN is one of the biggest enablers. In this session, Duncan Epping will discuss where VMware vSAN began, where it stands today and, most importantly, what to expect in the future. Duncan will start with a brief explanation of the basics of VMware vSAN and then quickly dive into the future by doing a demo of various (potentially) upcoming features. There are obviously a lot more from which to choose from and the full list can be found here. You can also download the VeeamON Mobile Application to register for sessions, organise and keep tabs on other parts of the event. VeeamON is less than three weeks away and I can tell you that that this years event is going to be huge! This is going to be my second VeeamOn, but for the first time I’ve been involved in the preparation of a major vendor conference. Having been behind the scenes, and knowing what our customers and partners are in for in terms of announcements and event activities…I can’t wait for things to kick off on the 16th of May. This year we have over 85+ breakout sessions and a number of high profile speakers coming to New Orleans to help delver those sessions. We also have significant keynote speakers for the main stage sessions on each of the three days. Highlighted by Sanjay Poonen from VMware and Mark Russinovich from Microsoft. You will also hear from our executive team on the vision Veeam has for continuing to provide availability through our industry leading innovations. I’ve gone through all the breakouts and picked out my top sessions that you should consider attending…not surprisingly there is a cloud slant to most of them, but there are also some core technology sessions that are not to be missed. The Technical Product Marketing team are well represented in the session list so it’s also worth looking to attend talks from Rick Vanover, Clint Wyckoff, Michael White, Michael Cade, Dmitry Kniazev, Andrew Zhelezko and Kirsten Stoner. The v10 embargo has been lifted! Join Anton Gostev for a deeper dive into the new Veeam Availability Suite™ v10 functionality announced at the key note to learn additional details — and to ask your questions! Globally, service providers are enthusiastically embracing hybrid cloud as both a way of reducing costs and improving the quality of service they provide to end customers. To achieve this, service providers are looking to VMware vCloud Air Network and Veeam to help them build a scalable cost effect cloud solution. In this session, we will get into the details of the technology. We’ll focus on how these solutions are architected and what that implies in real-life implementations. A participant in this session will leave with a technical understanding of how to leverage technology from Veeam and VMware to provide a successful cloud based storage service. The notion of Always-On Availability is becoming a cornerstone of modern businesses, and rightfully so. Without the ability to support their mission-critical processes in the face of data loss or disasters, companies stand a significant risk of losing customers, money and reputation. This is why developing a comprehensive Availability plan is crucial for maintaining business operability and protecting critical data, applications and systems at any point. From planning and analysis to implementation and monitoring — each step of this plan needs to be in line with the company’s business needs, security policies and IT management procedures. 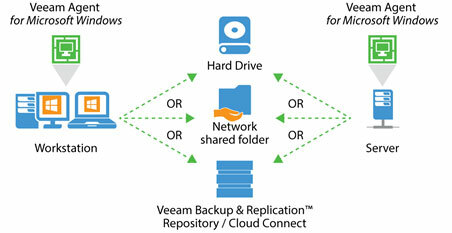 Designed to address these needs, Veeam’s® next generation cloud-based backup and disaster recovery (DR) solutions offer a number of options to develop a solid Availability plan. Using Veeam’s integrated, next generation cloud Availability solutions in tandem with cloud-based backup and DR services, companies can stay ahead of major disruptions while keeping their IT spending within budget. Many Veeam® customers are experiencing the benefits of flexible, reliable and cost-effective backups and are now ready to get even more out of their Veeam solution. This is where the Veeam API, combined with cloud infrastructure, comes in. Veeam Backup Enterprise Manager exposes its objects via the web service API based on the REST (Representational State Transfer) framework, enabling developers to query information about Veeam objects and perform basic operations. By extending the Veeam solution to other IT operational areas using the API, customers can experience many efficiency and performance benefits. This session will deliver the education and insights you need to take your usage of Veeam to the next level by leveraging APIs. I’ll provide an overview of the Veeam Backup Enterprise Manager API and take a deep dive into different ways you can use the API to do more than just manage backup jobs. This session will deliver practical advice based on the experiences we have gained at iland through leveraging the API to automate and manage multiple aspects of our cloud and internal business operations. This session focuses on the new and expanded business opportunities with these Veeam solutions. Get into the weeds with the technical aspects of the products with live demos and information on how the features will impact you and your customer’s business. 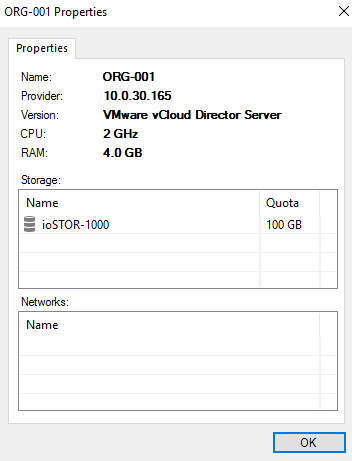 There is some complexity to properly backing up vCenter and properly restoring it, especially when there are external components like databases and platform controllers. However, using Veeam and with some important knowledge, it is possible. vCenter is critically important in virtual infrastructures due to things like view and vRealize Automation, so it is very important that it is always available. If you lose some or all of the vCenter infrastructure, it is very important that you know how to recover it. Choosing a storage solution for your backups can be a daunting task: Windows or Linux servers, SMB shares, SAN, NAS, deduplication appliances … But block cloning, a new feature in Windows 2016 and leveraged by Veeam Backup & Replication™, is promising to change this. Available for ReFS 3.1 file systems, this technology allows for insanely reduced transform times and spaceless GFS backups. Or at least, this is what marketing has told us so far, but how good is it in reality? Is an expensive and complex Storage Spaces Direct the only way to consume all the amazing new features? How can I design my new backup repository with these new options in mind? What about encryption and Veeam Scale-out Backup Repository™? Didier Van Hoye, Carsten Rachfahl (both Microsoft MVPs and Veeam Vanguards) and Luca Dell’Oca (Veeam cloud architect) have joined forces to bring you from-the-field information, tips, tricks and ideas to build your next Veeam backup repository with real-life tests and feedback gained from deploying this new powerful combination into multiple environments. Are you running applications in the cloud? Do you still have some remaining physical servers? Do you struggle to ensure Availability of your mobile workforce? Join Veeam technical evangelist Clint Wyckoff and Dmitry Popov from product management as they dive deep into the installation, management and recovery options that the Veeam Agent for Microsoft Windows provide. After this session, you will have the knowledge and skills required to manually install, automate the installation and configuration deployment. You will also have the knowledge to manage and perform advanced recovery utilizing Veeam. Have you had a chance to evaluate the new VMware storage technology landscape? VMware Virtual Volumes (VVols) and Virtual SAN (vSAN) are incredible innovations. These next generation storage technologies from VMware allow for Storage Policy-Based Management (SPBM) which is the way to manage virtual machine (VM) storage requirements in VMware vSphere going forward. The major challenge with traditional storage architectures is a misalignment between what the storage consumer wants and the capabilities that are provided. This results in inefficiencies through the over provisioning of storage resources. There is a strong need to provide alignment between application needs and storage resources. These storage policies are an evolution of virtual machine storage profiles, and used to ensure VMs are placed on storage that guarantees a specific level of capacity, performance, Availability redundancy and so on. When it comes to Availability, Veeam has you covered! Let’s look at a few areas where VVols and vSAN Availability can be easier than you think with Veeam. Are you looking for the best way to back up your vSphere environment? Attend the 2017 edition of the most viewed VeeamON session to learn the latest and greatest strategies for VMware backup with Veeam, now enhanced with big data analysis! Get recommendations on the best way to deploy and size your backup server and other components — and hear what are the most typical configurations based on our support log mining! Learn the pros and cons of different VDDK-based transport modes, and how Veeam Availability Suite™ 9.5 completely changes previous recommendations on transport mode usage. And if your company wants to stay on the cutting edge, bring them back some backup and recovery considerations around new VMware storage technologies (vSAN, VVols and encrypted virtual machines) — those you won’t see mentioned in marketing papers. Backup storage is the central part of any backup strategy that can lead your efforts to either complete success or complete failure. And yet, backup storage impact is always heavily underestimated by users. In this session, you’ll learn about the most typical mistakes observed in the past nine years by over 230,000 users deploying and using Veeam Backup & Replication™, so you can avoid the same mistakes. 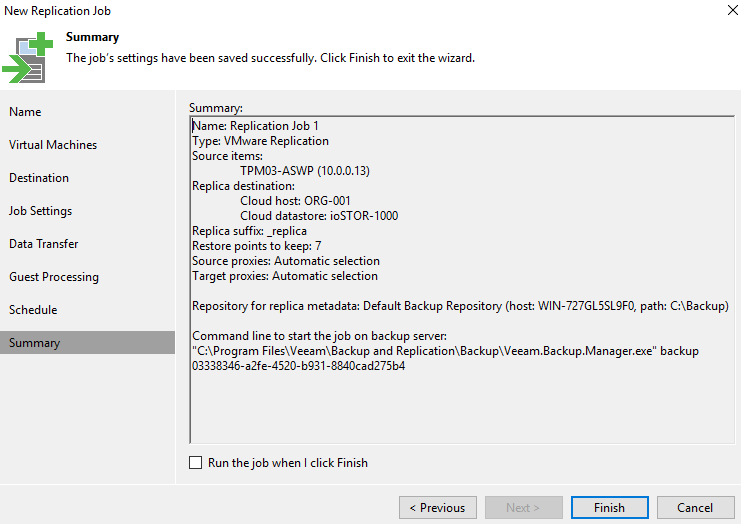 You’ll learn how Veeam Backup & Replication 9.5 has completely changed the game for many Veeam users with its advanced ReFS integration — and get a sneak peek of how v10 is going to dramatically expand your backup storage options. Finally, Anton will share lots of interesting (and sometimes scary) statistics we’ve picked up from support log mining that may change your attitude on backup storage forever! There is still time to register and attend, so if you can make it to New Orleans in three weeks, click here and get on board as it promises to be a brilliant week with a lot of great announcements, great networking opportunities and also the ability to learn about Veeam’s and our partners products.